Pulmoddai between Trincomalee and Mullaitivu in northeastern Sri Lanka is a town famous for mineral sands that are mined at its beach. 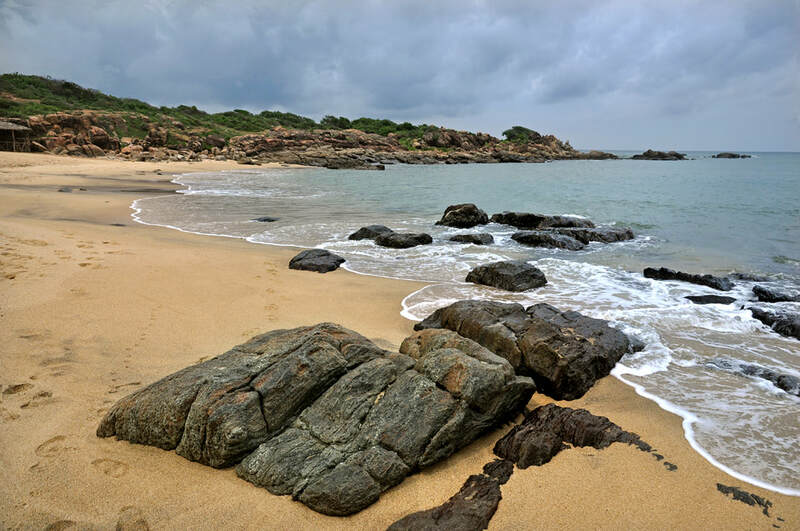 However, though being an industrial zone, an excursion to Pulmoddai is worth considering for travellers who stay at Nilaveli Beach, because the small and hidden protected beach of Arisimale to the west of Pulmoddai is very lonesome and quaint, in contrast to Nilaveli and Pidgeon Island. Furthermore, the Kokkimalai lagoon just north of Pulmoddai is an important bird sanctuary.